Obviously, Paul is not giving precise instructions for every single possible interaction the church might have with widows in 1 Timothy 5:3–16. As is common in Scripture, he offers principles to be applied wisely in circumstances the apostle does not address directly. For example, Paul lays the primary responsibility for widow care upon the woman’s relatives if they have the means to help her (vv. 3–8). Yet some widows will have family members who are able to help them but are not willing to do so. Would it be right for the church to do nothing in these situations? Of course not, for the spirit of Paul’s teaching is to make sure that the truly needy receive aid. The poor widow who has family able but unwilling to help is truly needy, and the church must assist her. Likewise, the age of enrollment Paul gives in verse 9 is not to be read too woodenly. Sixty was the age at which most ancient peoples considered a person to be elderly and likely unable to do manual labor. Surely Paul would not forbid us from enrolling disabled fifty-five-year-old widows or even younger women who are legitimately unable to support themselves or get remarried (see v. 14). But even though widows permanently supported by the church were unable to do certain kinds of labor, Paul clearly does not expect them to be idle. The host of characteristics we read in verse 10 describe women who are known for their hospitality and generosity, and implies that widows who are to be perpetually supported by the church are those that might be called upon to serve others in these capacities even in their old age. This is exactly how the earliest Christians read this passage, and for the first few centuries there were orders of widows who in exchange for support from the church taught new female converts, cared for the sick and orphaned, and fasted and prayed regularly. Whether the apostle has a formal organization in mind, the principle that the person unwilling to work should not eat must be applicable in some way to the church’s support of widows (2 Thess. 3:10). 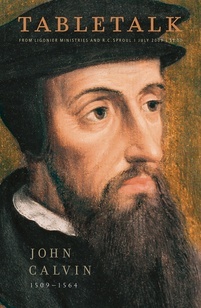 John Calvin says that widows may have their poverty alleviated if they serve the poor inasmuch as their health and abilities will allow. Matthew Henry writes, “Those who would find mercy when they are in distress must show mercy when they are in prosperity.” The widows whom the church should be most ready to support are those who in their lifetimes have been quick to help and to pray for others. Are you well known for your hospitality and generosity? May we all be the kind of people who are quick to serve when others are in need.